مجیدپور, مهدی, خالدی, آرمان, نصری, شهره, صابر, علی, مینائی, محمدرضا. (1396). تاثیر ظرفیت جذب در اثربخشی فرآیند انتقال بین‌المللی فنّاوری؛ بررسی قطعه سازهای حاضر در پروژه موتور ملی EF7. مدیریت نوآوری, 6(3), 53-80. مهدی مجیدپور; آرمان خالدی; شهره نصری; علی صابر; محمدرضا مینائی. "تاثیر ظرفیت جذب در اثربخشی فرآیند انتقال بین‌المللی فنّاوری؛ بررسی قطعه سازهای حاضر در پروژه موتور ملی EF7". مدیریت نوآوری, 6, 3, 1396, 53-80. مجیدپور, مهدی, خالدی, آرمان, نصری, شهره, صابر, علی, مینائی, محمدرضا. (1396). 'تاثیر ظرفیت جذب در اثربخشی فرآیند انتقال بین‌المللی فنّاوری؛ بررسی قطعه سازهای حاضر در پروژه موتور ملی EF7', مدیریت نوآوری, 6(3), pp. 53-80. مجیدپور, مهدی, خالدی, آرمان, نصری, شهره, صابر, علی, مینائی, محمدرضا. تاثیر ظرفیت جذب در اثربخشی فرآیند انتقال بین‌المللی فنّاوری؛ بررسی قطعه سازهای حاضر در پروژه موتور ملی EF7. مدیریت نوآوری, 1396; 6(3): 53-80. در عصر دانش و فناوری، مزیت رقابتی سازمان‌ها بیش از آن‌که وابسته به منابع فیزیکی باشد، به دارایی‌های دانشی و توانایی آن‌ها در جذب دانش و فناوری خارجی وابسته است. هدف اصلی پژوهش حاضر بررسی تاثیر ابعاد ظرفیت جذب در اثربخشی فرایند انتقال فناوری موتور ملی EF7 از طریق بررسی شرکت‌های حاضر در آن پروژه می‌باشد.در این راستا 4 فرضیه ارائه و برای تحلیل مدل، از آزمون‌های تحلیل واریانس و رگرسیون با استفاده از داده‌های پنج شرکت قطعه‌سازی لاتون، واشر مشهد، شرکت STYM، پیستون‌سازی تبریز و فراصنعت شمال استفاده شده است. نتایج نشان می‌دهد که ظرفیت جذب کلیه شرکت‌های مورد مطالعه به‌طور معناداری با اثربخشی انتقال فناوری مرتبط می‌باشد، به‌طوری‌که شرکت‌هایی که از ظرفیت جذب بالاتری قبل از آغاز پروژه طراحی موتور ملی EF7 برخوردار بودند، به سطح بالاتری از توانمندی‌ها پس از اتمام پروژه یادشده دست یافتند. In era of knowledge and technology, the completive advantage of companies depends on their knowledge assets and their capabilities to absorb external technologies rather than their physical assets. The ultimate aim of current research is to investigate the influence of dimensions of absorptive capacity in success of international technology transfer process for the Iranian National Engine (EF7) project by elaborating the manufacturing companies which accompany the project. Therefore, four hypotheses are proposed and tested in five manufacturing companies namely, STYM, Laton, IMPC, Mashad Washer and Fara Sanat, those which engaged in the project. Also the model was analyzed through regression and variance methods by data gathered from the five aforementioned companies. The results show that the level of absorptive capacity of companies significantly affects the effectiveness of technology transfer in so called project; companies having higher level of absorptive capacity before starting the project were able to achieve a higher level of technological capabilities after ending the project. Boynton, A. C., Zmud, R. W. & Jacobs, G. C. 1994. The influence of IT management practice on IT use in large organizations. Mis Quarterly, pp. 299-318. Cadiz, D., Sawyer, J. E. & Griffith, T. L. 2009. Developing and validating field measurement scales for absorptive capacity and experienced community of practice. Educational and Psychological Measurement, Volume (69), pp. 1035-1058. Cho, S. W. 2014. The Evaluation on the Three Critical Models of Absorptive Capacity: A Case Study on Logistics Company in Korea. Universal Journal of Industrial and Business Management, Volume (2), pp. 119-125. Cockburn, I. M. & Henderson, R. M. 1998. Absorptive capacity, coauthoring behavior, and the organization of research in drug discovery. The Journal of Industrial Economics, Volume (46), pp. 157-182. Cohen, W. M. & Levinthal, D. A. 1990. Absorptive capacity: A new perspective on learning and innovation. Administrative Science Quarterly, pp. 128-152. Duchek, S. 2013. Capturing absorptive capacity: a critical review and future prospects. Schmalenbach Business Review, pp. 312-329. Fabrizio, K. R. 2009. Absorptive Capacity and the Search for Innovation. Research Policy, Volume (38), pp. 255-267. Flatten, T. C., Engelen, A., Zahra, S. A. & Brettel, M. 2011. A Measure of Absorptive Capacity: Scale Development and Validation. European Management Journal, Volume (29), pp. 98-116. Freeman, C. & Hagedoorn, J. 1994. Catching up or falling behind: Patterns in international interfirm technology partnering. World Development, Volume (22), pp. 771-780. Gao, S., Xu, K. & Yang, J. 2008. Managerial Ties, Absorptive Capacity, and Innovation. Asia Pacific Journal of Management, Volume (25), pp. 395-412. George, G., Zahra, S. A., Wheatley, K. K. & Khan, R. 2001. The Effects of Alliance Portfolio Characteristics and Absorptive Capacity on Performance: A Study of Biotechnology Firms. The Journal of High Technology Management Research, Volume (12), pp. 205-226. Glass, A. J. & Saggi, K. 1998. International Technology Transfer and the Technology Gap. Journal of Development Economics, Volume (55), pp. 369-398. Günsel, A. 2015. Research on Effectiveness of Technology Transfer from a Knowledge based Perspective. Procedia-Social and Behavioral Sciences, Volume (207), pp. 777-785. Heeley, M. 1997. Appropriating rents from external knowledge: the impact of absorptive capacity on firm sales growth and research productivity. Frontiers of Entrepreneurship Research, Volume (17), pp. 390-404. Indarti, N. 2010. The effect of knowledge stickiness and interaction on absorptive capacity. University of Groningen, Groningen. Jafari, M., Akhavan, P. & Rafiei, A. 2014. Technology Transfer Effectiveness in Knowledge-Based Centers Providing a Model Based on Knowledge Management. Jansen, J. J., Van Den Bosch, F. A. & Volberda, H. W. 2005. Managing potential and realized absorptive capacity: how do organizational antecedents matter? Academy of Management Journal, Volume (48), pp. 999-1015. Kedia, B. L. & Bhagat, R. S. 1988. Cultural Constraints on Transfer of Technology across Nations: Implications for Research in International and Comparative Management. Academy of Management Review, Volume (13), pp. 559-571. Khan, S. Z. A. 2011. Technology transfer effectiveness through international joint ventures (IJVs) to their component suppliers: a study of the automotive industry of Pakistan. University of Birmingham. Kinoshita, Y. 2000. R&D and technology spillovers via FDI: Innovation and absorptive capacity. Kostopoulos, K., Papalexandris, A., Papachroni, M. & Ioannou, G. 2011. Absorptive capacity, innovation, and financial performance. Journal of Business Research, Volume (64), pp. 1335-1343. Lall, S. 1992. Technological capabilities and industrialization. World Development, Volume (20), 165-186. Lall, S. & Teubal, M. 1998. “Market-stimulating” technology policies in developing countries: A framework with examples from East Asia. World Development, Volume (26), pp. 1369-1385. Lane, P. J., Koka, B. & Pathak, S. 2002. A Thematic analysis and critical assessment of absorptive capacity research. Academy of Management proceedings, Academy of Management, M1-M6. Lane, P. J. & Lubatkin, M. 1998. Relative absorptive capacity and interorganizational learning. Strategic management journal, pp. 461-477. Lane, P. J., Salk, J. E. & Lyles, M. A. 2001. Absorptive capacity, learning, and performance in international joint ventures. Strategic Management Journal, Volume (22), pp. 1139-1161. Laursen, K. & Salter, A. 2006. Open for innovation: the role of openness in explaining innovation performance among UK manufacturing firms. Strategic Management Journal, Volume (27), pp. 131-150. Lee, K. & Lim, C. 2001. Technological Regimes, Catching-up and Leapfrogging: Findings from the Korean Industries. Research Policy, Volume (30), pp. 459-483. Levinson, N. S. & Asahi, M. 1995. Cross-national Alliances and Interorganizational Learning. Organizational Dynamics, Volume (24), pp. 50-63. Lichtenthaler, U. 2009. Absorptive Capacity, Environmental Turbulence, and the Complementarity of Organizational Learning Processes. Academy of Management Journal, Volume (52), pp. 822-846. Liu, X. & White, R. S. 1997. The Relative Contributions of Foreign Technology and Domestic Inputs to Innovation in Chinese Manufacturing Industries. Technovation, Volume (17), pp. 119-125. Lund Vinding, A. 2006. Absorptive capacity and innovative performance: A human capital approach. Economics of Innovation and New Technology, Volume (15), pp. 507-517. Luo, Y. 1997. Partner Selection and Venturing Success: The Case of Joint Ventures with Firms in the People’s Republic of China. Organization Science, Volume (8), pp. 648-662. Majidpour, M. 2017. International Technology Transfer and the Dynamics of Complementarity: A New Approach. Technological Forecasting and Social Change, Volume (122), pp. 196-206. Mowery, D. C. & Oxley, J. E. 1995. Inward technology transfer and competitiveness: the role of national innovation systems. Cambridge Journal of Economics, Volume (19), pp. 67-93. Mowery, D. C., Oxley, J. E. & Silverman, B. S. 1996. Strategic Alliances and Interfirm Knowledge Transfer. Strategic Management Journal, Volume (17), pp. 77-91. Mukherjee, A., Mitchell, W. & Talbot, F. B. 2000. The impact of new manufacturing requirements on production line productivity and quality at a focused factory. Journal of Operations Management, Volume (18), pp. 139-168. Nambisan, S., Agarwal, R. & Tanniru, M. 1999. Organizational Mechanisms for Enhancing User Innovation in Information Technology. MIS Quarterly, pp. 365-395. Noor, S. M., Yusoff, R. Z. & Hashim, F., 2010. Firms’ absorptive capacity and technology compatibility in transferred technology. 2010, International Conference on Science and Social Research (CSSR), IEEE, pp. 613-617. Oltra, M. J. & Flor, M. 2003. The impact of technological opportunities and innovative capabilities on firms’ output innovation. Creativity and Innovation Management, Volume (12), pp. 137-144. Omar, R., Takim, R. & Nawawi, A. H. Measuring Absorptive Capacity in Technology Transfer (TT) Projects. Business Innovation and Technology Management (APBITM), 2011 IEEE International Summer Conference of Asia Pacific. IEEE, pp. 328-332. Petroni, A. & Panciroli, B. 2002. Innovation as a Determinant of Suppliers’ Roles and Performances: an Empirical Study in the Food Machinery Industry. European Journal of Purchasing & Supply Management, Volume (8), pp. 135-149. Rogers, E. M., Yin, J. & Hoffmann, J. 2000. Assessing the effectiveness of technology transfer offices at US research universities. The Journal of the Association of University Technology Managers, Volume (12), pp. 47-80. Schmidt, T. 2010. Absorptive capacity—one size fits all? A firm level analysis of absorptive capacity for different kinds of knowledge. Managerial and Decision Economics, Volume (31), pp. 1-18. Schroer, B. J., Farrington, P. A., Messimer, S. L. & Thornton, J. R. 1995. Measuring technology transfer performance: A case study. The Journal of Technology Transfer, Volume (20), pp. 39-47. Thomas, R. & Wood, E. 2014. Innovation in tourism: Re-conceptualising and measuring the absorptive capacity of the hotel sector. Tourism Management, Volume (45), pp. 39-48. Todorova, G. & Durisin, B. 2007. Absorptive capacity: Valuing a Reconceptualization. Academy of Management Review, Volume (32), pp. 774-786. Tran, T. A. 2013. Strategic Evaluation of University Knowledge and Technology Transfer Effectiveness. Portland State University. Uotila, T., Harmaakorpi, V. & Melkas, H. 2006. A method for assessing absorptive capacity of a regional innovation system. Fennia-International Journal of Geography, Volume (184), pp. 49-58. Van Den Bosch, F. A., Volberda, H. W. & De Boer, M. 1999. Coevolution of firm absorptive capacity and knowledge environment: Organizational forms and combinative capabilities. 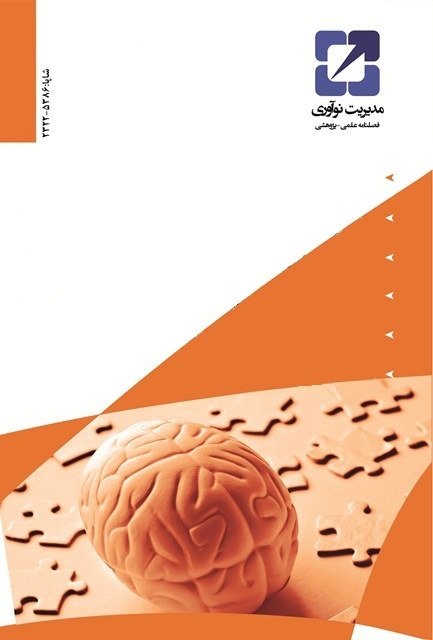 Organization Science, Volume (10), pp. 551-568. Vega-Jurado, J., Gutiérrez-Gracia, A. & Fernández-De-Lucio, I. 2008. An Analytical Model of Absorptive Capacity. INGENIO (CSIC-UPV). Veugelers, R. 1997. Internal R & D Expenditures and External Technology Sourcing. Research Policy, Volume (26), pp. 303-315. Whangthomkum, N., Igel, B. & Speece, M. 2006. An empirical study of the relationship between absorptive capacity and technology transfer effectiveness. International Journal of Technology Transfer and Commercialisation, Volume (5), pp. 31-55. Wilkens, U., Menzel, D. & Pawlowsky, P. 2004. Inside the black-box: Analysing the generation of core competencies and dynamic capabilities by exploring collective minds. An Organisational Learning Perspective. Management Revue, pp. 8-26. Xia, T. & Roper, S. 2008. From capability to connectivity-Absorptive capacity and exploratory alliances in biopharmaceutical firms: A US–Europe comparison. Technovation, Volume (28), pp. 776-785. Zahra, S. A. & George, G. 2002. Absorptive capacity: A review, reconceptualization, and extension. Academy of Management Review, Volume (27), pp. 185-203. بزمی، م.، تاجریان، م.، قدیری، ر. ا. و نقی‏پور، پ. 1391. رزیابی فرآیند انتقال فناوری DMD از دیدگاه مدیریت فناوری. مدیریت صنعت هوشمند، 138، صص. 35-20. قلیزاده، ح.، معینی، ع.، بنیادی‏نایینی، ع. و محمدی، م. 1394. ارائه مدل برای شناسایی ابعاد و اندازه‏گیری ظرفیت جذب: مطالعه موردی نانو فناوری ایران. رشد فناوری، 42. مجیدپور، م. و همکاران 1394. استخراج فناوری‏های کلیدی طراحی وساخت هواپیمای مسافربری 150 نفره. طرح کلان شورای عالی علوم، تحقیقات و فناوری. تهران: دانشگاه صنعتی امیرکبیر.